The reliable companion with precision-focus lensing for adjustable light intensity. As the name implies, the FOCUS-Series is equipped with a precision focus lense that provides ultra-bright light. The beam distance can easily be adjusted with just one hand. Constructed with high quality aluminum, the FOCUS flashlights are shock-proof and splash water protected and meet the FL1 standard. 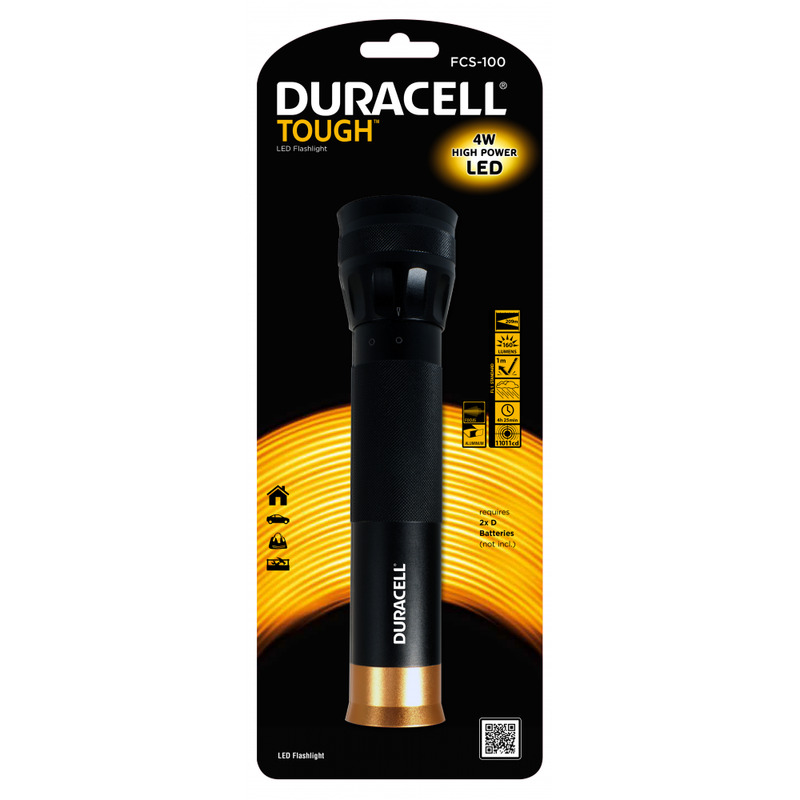 Duracell ultra bright 4 watt LED torch that offers a light beam of up to 209 metres. Rocus function that allows spot-to-flood adjustment. TrueBeam Optics are also incorporated into this LED torch, giving a bright and even light. Light weight and shock proof.